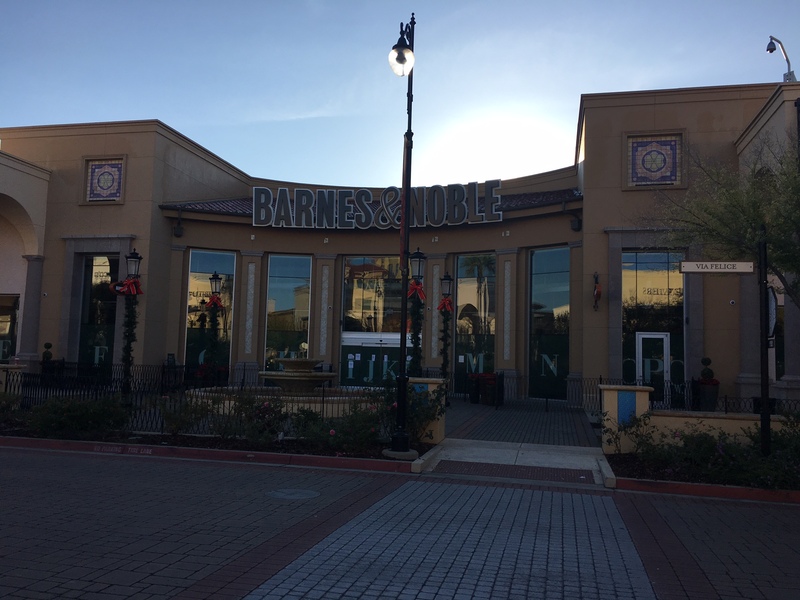 Looks like Barnes & Noble is preparing to open at the Palladio. The store is located on the West side of the building block that houses Whole Foods. The signs in front claim they are "Hiring." Peeking inside you can see boxes being unpacked. They play to serve food, possibly beer and wine too. Not sure of details UV but it will be great to have them in Folsom for sure. I think it will be great for Folsom but I hope it doesn't put some of the little guys out of business. My absolute favorite book store is Face in a Book in the El Dorado Hills Town Centre. Want beer and wine, and maybe dinner with that book? Great news! I used to "hang out" at the Folsom Borders. They are supposedly going to serve food, beer, and wine. I was told they would open Mid-December. This will be the ultimate hang out place. Grab a beer, spot on the comfy sofa, thumb thru a book while waiting to be "seen" by your Folsom friends to post on Facebook and then this place will close in a year because nobody wants to pay full price for a book! Well, Palladio is a "high end" shopping mall and Whole Foods appears to be a success. I'll gladly pay $5 for a two-dollar beer if I can kick back and read a magazine after the movie. Awesome. Cool. Hip Hip Hooray! Far out. Fantastic. New opening date being reported as Tuesday, 12/13. Well, did they open yesterday? If anyone has been there, you can report here if you wish! Store was crowded, restaurant empty, but it was 4pm. They've got a circular bar which serves coffee, tea, beer and wine. I remember seeing a beer by Track 7 for $6 and a ZD Pinot for $14, so it ain't cheap. The store itself seems much smaller than others, and has a relatively small selection. Quite a few benches and chairs scattered about for reading. They've got a vinyl record section, and also sell some stereo equipment. Register was to the far left, away from the door, which seemed strange. I hope they make it, but if I want a book, I can find anything I want online, and if I want a glass of wine, one of our nice bars or restaurants will do the trick. My daughter and I ate at the cafe last week. The kale salad was terrific. I'm happy to have Barnes and Noble in town but I hope Face in a Book in the El Dorado Hills town center can still make it. That's a great little book store. If you're the type to go to that kinda pricey-ish-resteraunt... the food is excellent IMO. We've gone twice and will go again. Small but well done. Don't forget 10% off with card. Bar is very enjoyable. Good beer (limited selection) and prices what you'd expect. And "by-the-type" I mean... experimental.